The Bottom Line: One of the year’s best thrillers so far. The riveting second Jack Bailey novel is a victory for detective fiction fans in search of a clever new series. 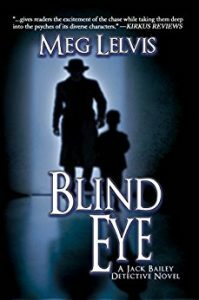 The use of scripture in relation to criminal cases is a tried-and-true plot device, but when used by a writer like Lelvis, it never gets old. From the moment Bailey’s partner, Sherk, observes that the word “forsaken” is used in the first two verses, a world of analysis opens up. Did the nun somehow abandon one of her students? Was there abuse involved? Or was it just a red herring to throw the detectives off the trail? While Lelvis lets us in on a key piece of the puzzle early on, that bold plot device allows her to fully flesh out her villain. But to her credit, she doesn’t show all her cards until the very end, making for a shocking conclusion that will keep readers white-knuckling the book until the bitter end. As a series author, Lelvis is only just hitting her stride. For now, here’s a toast to many happy returns for Jack and Sherk.